The impressive historic Divine Lorraine Hotel sits majestically at the intersection of Broad Street and Fairmount and Ridge Avenues, but it has been vacant and vandalized for many decades. 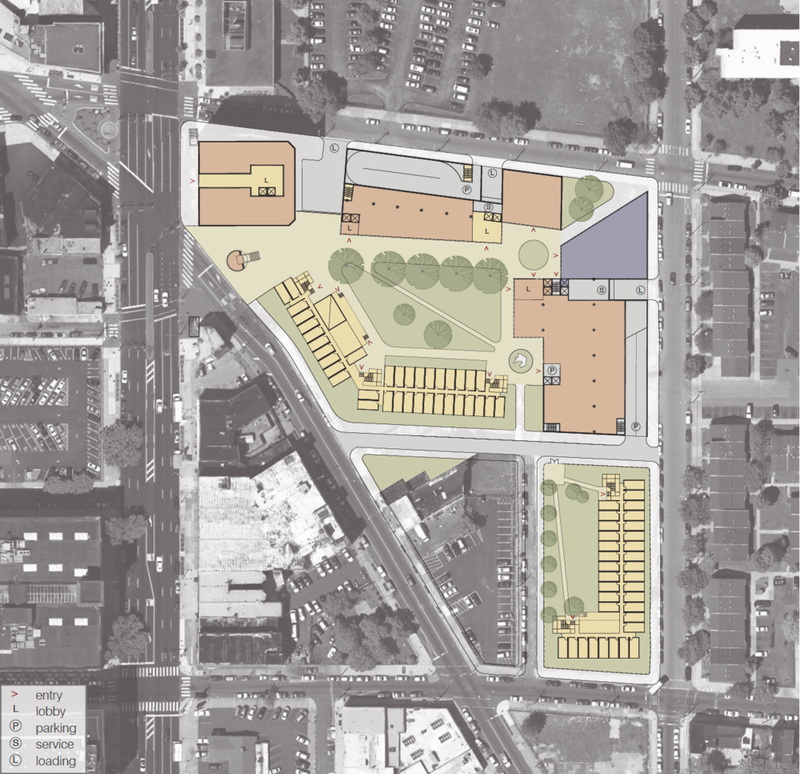 This phased development plan explores student university housing on the adjacent parcel to the east of the building and renovations to the existing hotel building. 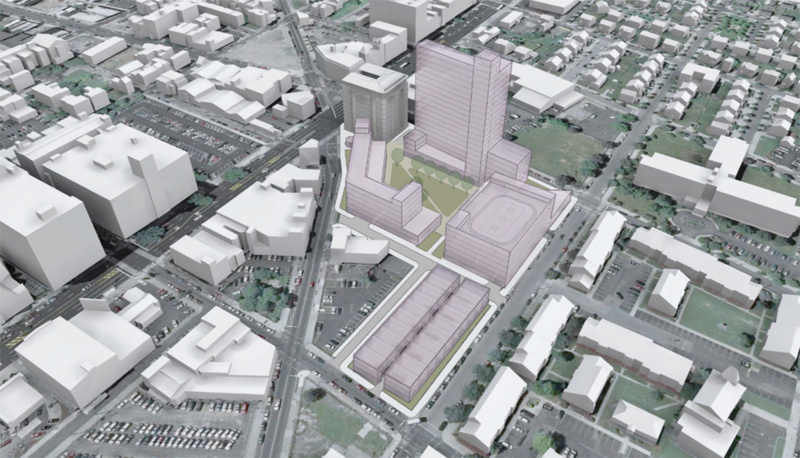 The final build out proposes over 800 residential units and nearly 100,000 sf of commercial spaces with underground parking. The new community is centered around a courtyard that is engaged by commercial and social spaces on the ground floors with varying heights of residential buildings above.